I just found my mind wandering while trying to read through the 30 small lesson chapters that I have to complete weekly for my three online classes. It was talking about the different kinds of businesses and websites that are online. Terms and acronyms like B2C, C2C, & CRM are presented to help us to remember terms, but eventually just become like little fishes that swim around in my head. 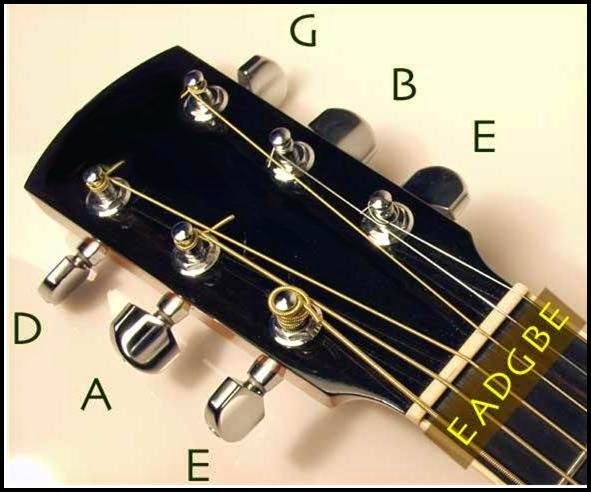 The six strings of the guitar are a sort of acronym : E A D G B E. That's been ingrained in my head for a lot of years. But my beginner guitar students need a tool to learn it. So we use one like "E-very A-ngry D-og G-rowls & B-arks @ E-veryone." It works! However, acronyms are also a symptom of our ever-growing attempts to use shortcuts to simplify our lives, which keep on getting more and more complicated every day. It started out with business, with companies using logos and acronyms to get name and brand recognition. "IBM" is a lot easier to say and remember than "International Business Machines." And then there's GMC, KFC, and AOL. Even our country is known as the USA. And sometimes acronyms change meaning. TM, once thought of as a symbol for Trademark, is now universally recognized as "Transcendental Meditation." With the Internet, it seems even personal communication has introduced shortcuts. "Have a good evening" or "Until we meet again" has been replaced with "Cya later." Online, it's "omg" and "BFF" and "lol." I think sometimes the longer path is the more scenic and enjoyable one. While shortcuts can have their place, I don't think we should live our lives constantly seeking a quicker fix to everything, or a faster way through our daily activity. By doing so, we may just miss out on some priceless gems along the way. Take the time to smell the roses. Or, as someone might say, "TtTtStR"... lol. I hear a lot of people saying, "Just live for the moment". While this seems to make a lot of sense, if you take it to its logical conclusion, it only works if you believe in an existence that begins and ends in yourself and your own personal happiness. I am not saying anyone should seek to be sad or unhappy- not at all. But there is a higher calling than just living for ourselves and what we can get out of this life. Colossians 3:17- So whether you eat or drink or whatever you do, do it all for the glory of God. Another slogan or saying that I hear a lot is "Follow your heart." And again, while it seems like a good thing to do on the surface, I know that I've led myself down many rabbit paths during the course of my life, and believe most of you have done the same thing. We are not always capable of making the right decisions. Proverbs 3:5,6- Trust in the LORD with all thine heart; and lean not unto thine own understanding. In all thy ways acknowledge him, and he shall direct thy paths. The bottom line is really whether or not we believe in a God who created us and loves us. A lot of people seem to have a hard time with a personal God. It may be because we also have something inside of us that haunts us until we reach out in faith to know him. And if you are running from that relationship, it makes sense that you would do your best not to think about it. If we are experiencing troubles in our life, it may just be the time for acknowledging our need and reaching out to the God who cares and loves us.